What will draw more than 3,000 fraud fighters to meet in one place for a week? Productive networking with new colleagues. Challenging and inspiring words from keynote speakers. Hours of practical, apply-next-Monday, anti-fraud techniques. Plus the energy and encouragement that only comes from likeminded peers who are a part of "our tribe." 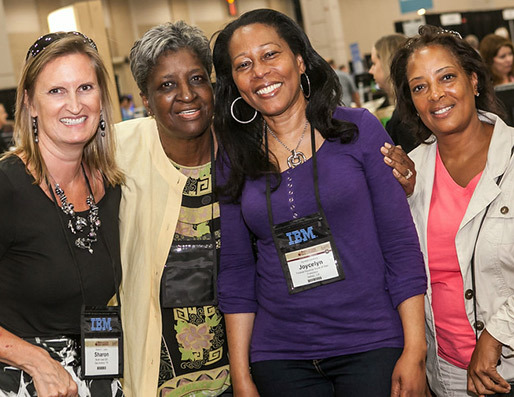 All that and much more greeted attendees of the 26th Annual ACFE Global Fraud Conference June 14-19 in Baltimore, Maryland. Dr. Donald Cressey Award: Leslie R. Caldwell, J.D., assistant attorney general for the U.S. Department of Justice. The Cressey Award, the ACFE’s highest honor, is presented annually for a lifetime of achievement in the detection and deterrence of fraud. Cressey (1919-1987) was one of the foremost fraud experts and an ACFE founding father. Cliff Robertson Sentinel Award: James Holzrichter, space and aeronautics industry whistleblower. “For Choosing Truth Over Self,” the inscription on the award. The ACFE presented the first award to actor Cliff Robertson for standing up to a Hollywood fraud scheme. Guardian Award: Brian Krebs, award-winning reporter, blogger and author on cybersecurity. Presented to a journalist whose determination, perseverance and commitment to the truth has contributed significantly to the fight against fraud. James R. Baker Speaker of the Year Award: Ryan Hubbs, CFE, CCEP, CIA, senior manager, fraud investigation and dispute services, Ernst & Young, LLP. Presented annually to honor an individual who had demonstrated the true spirit of leadership in communication, presentation and quality instruction. Certified Fraud Examiner of the Year Award: Natasha Novikov, CFE, CPA/CFF, CGMA, forensic accountant at the FBI. Newsletter of the Year Award: Houston Area Chapter, accepted by Shawn Pickens, CFE, CPA, a chapter director. Chapter of the Year Award: Maryland Chapter, accepted by John Grimes, II, CFE, CFI, chapter president. 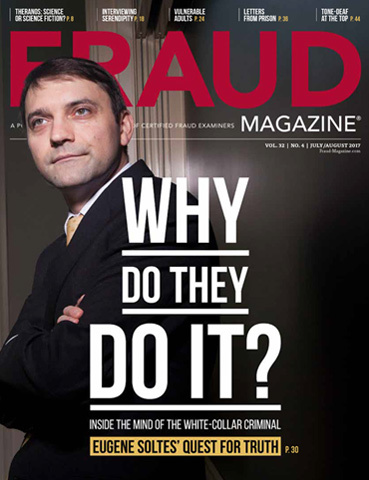 Hubbard Award: Thomas Baugher, CFE, author of “Payments that grease the rails: The FCPA’s facilitating payments exception,” in the January/February 2014 issue of Fraud Magazine. Presented annually for the outstanding feature article published in the magazine. Outstanding Achievement in Outreach/Community Service award: Richard Belik, CFE, ACA, detective with the Omaha (Nebraska) Police Department. Educator of the Year Award: Todd DeZoort, Ph.D., CFE, accounting professor at the University of Alabama. 2014 Walker Award: Kate Pinder, CFE, ACA, manager, Ernst & Young. Presented annually to the person receiving the highest annual score on the Uniform CFE Exam. The Platinum sponsor was EY, which sponsored the Welcome Reception. Gold sponsors were IBM, which sponsored the Monday Working Lunch and Thomson Reuters, which provided the water bottles. Silver sponsors were CRI Group, which sponsored the Tuesday Working Lunch, LexisNexis, which provided the name badge holders; ScanWriter, which sponsored the continental breakfasts; and Stevenson University, which sponsored the educator meeting. Supporting sponsor Grant Thornton sponsored the refreshment breaks. Media partners were Compliance Week and KYC360. Mark Ostrowski, CFE, CPA, won the ACFE Foundation Raffle for a complete trip package to the 27th Annual ACFE Global Fraud Conference in Las Vegas, June 12-17, 2016. Rick Williams, CFE, won the comprehensive résumé and cover letter review from the Career Connection and Donn LeVie Jr.
Stephanie Stohon, CFE, CFF, MAFF, won a $250 Visa gift card in the ACFE Fraud Museum Game. 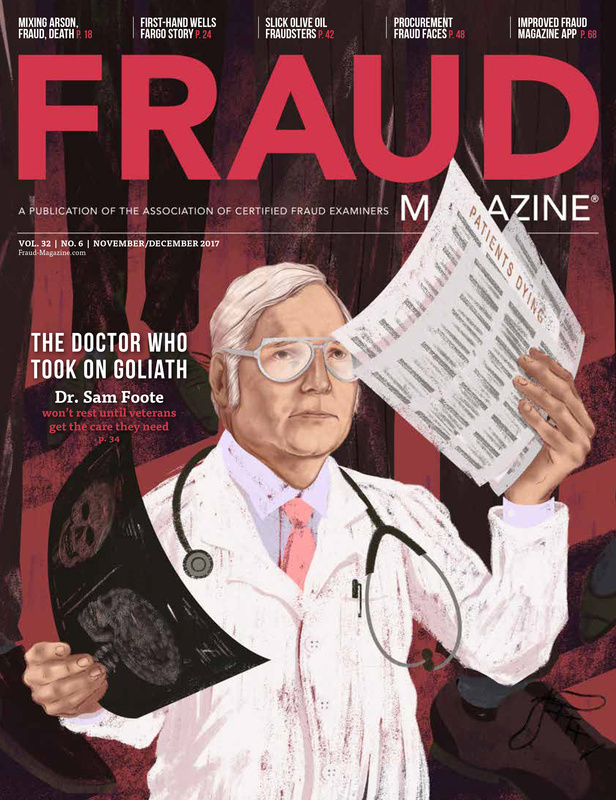 For more extensive keynoter reports plus additional coverage, see FraudConferenceNews.com. The Global Fraud Conference always provides advantageous serendipitous networking. For example, Natasha Novikov, CFE, CPA/CFF, CGMA, an FBI forensic accountant, who was honored with the CFE of the Year Award, met for the first time at the conference with other members of a Suspicious Activity Report Review Team. "Those connections have already been beneficial in a joint operation executed just weeks after the conference," she said. See I'm a CFE. "We are all here today thanks to the vision of ACFE Chairman and Founder Dr. Joseph T. Wells, CFE, CPA, who has guided the direction of the ACFE since its inception," said ACFE Vice President and Program Director Bruce Dorris, J.D., CFE, CPA, CVA, to the attendees at the opening general session. "These days, Dr. Wells has taken a step back from the business workings of the ACFE and is spending more time focusing on fraud research, and also just enjoying all that life has to offer," Dorris said. "He decided that last year would be his last ACFE conference and, true to his word, he has stayed home in Texas, but I assure you he is here with us in spirit this week." ACFE President and CEO James D. Ratley, CFE, spoke during the opening general session about the encouragement he received before his career began. "I graduated from the University of Texas at Dallas many years ago," Ratley told the attendees. "UTD is an outstanding university, and I still benefit from the wonderful education I received from their world-class professors. I would like to take a minute and tell you the most important thing I learned during my time there," he said. "I was in my last semester when I saw an article in the Dallas Morning News about the accounting field becoming overrun with graduates, and as a result there were no jobs for new graduates. As an accounting major who was about to enter the job market, this was really bad news," Ratley said. 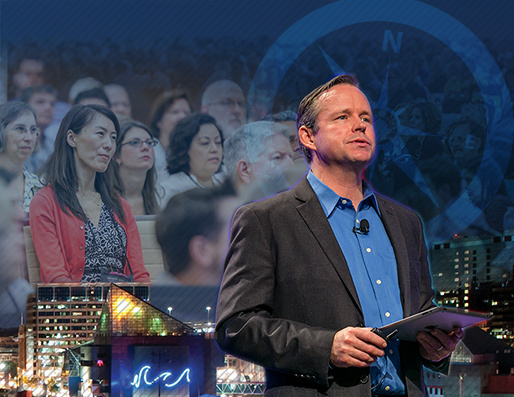 "I encourage you to look at the course agenda for the next 2½ days, and chart your course to begin the journey to become a leader in the business community profession. And never forget: there is always room at the top," Ratley said. Four excellent speakers led Pre-Conference sessions. David Long, J.D., CFE, CAMS, principal at NCFPS – Digital Currency AML Consultants, LLC, spoke on "Bitcoin, Alt Currencies and the New Landscape for Laundering Money." Bethmara Kessler, chief audit executive at Campbell Soup Company, spoke on "Building an Effective Ethics Program." Vincent Walden, CFE, CPA, CITP, partner at Ernst & Young, LLP, and Lyndsay Dowd, CPA, CITP, global alliance manager for IBM Counter Fraud, led "Counter-Fraud Analytics Using Statistical and Predictive Modeling Techniques." During the Main Conference, attendees learned practical concepts at more than 70 educational sessions in 13 parallel tracks. Tracks ranged from "What's Changing, What's Challenging: Emerging Trends and Issues" and "Big Data Does Not Mean Big Headaches: Fraud and Data Analysis" to "Hotlines, Whistleblowing and Doing What is Right: Ethics in the Workplace" and "Real-Time Solutions to Real-Time Problems." Four excellent speakers taught the three Post-Conference sessions. Ryan Hubbs, CFE, CIA, CCSA, PHR, senior manager, fraud investigation and dispute services, Ernst & Young, LLP, and Tiffany R. Couch, CFE, CPA, CFF, principal at Acuity Forensics, team-taught the "Auditing/Investigating Fraud Seminar." Eric R. Feldman, CFE, CIG, managing director for corporate ethics and compliance programs at Affiliated Monitors Inc., taught "Bribery and Corruption." Walt Manning, CFE, president of Investigations MD, taught "Obtaining, Managing and Searching Electronic Evidence." "We don't want to be the world's global corruption police," said Leslie R. Caldwell, assistant attorney general for the Criminal Division of the U.S. Department of Justice to attendees. "We can't and we don't want to be. … We are vigorously investigating international corruption, vigorously prosecuting organized crime … and we're increasing our commitment everyday to international cooperation in our struggle to safeguard markets, our networks, our privacy and our citizens." "The Internet has enabled traditional local groups — people sitting in a small city in the former Soviet republic — to convert themselves into global international enterprises," she said. "It has enabled criminals all over the globe to access us in the United States to steal our data, to invade our privacy and to victimize us." She says cybercriminals have taken advantage of increased Internet speeds, virtual currencies and "anonymizing" software. "Rather than robbing a single bank at gunpoint … people can sit in their basements and rob thousands of banks in a matter of minutes. … Hackers steal information at banks in one country … and count their money in a third country." Caldwell says that in virtually every case the Criminal Division has, there's an international component — the "new normal" — its investigators have to work closely with other global agencies. Case in point: Carder.su was an Internet-based, international criminal enterprise whose members trafficked in compromised credit card account information and counterfeit identifications. They committed money laundering, narcotics trafficking and all sorts of different computer crimes. "Most of the Web forums were hosted in former Soviet republics, which is where we've seen a lot of cybercriminal activity — although we've seen it all over the world," she says. Many of Carder.su's 5,500 members were in the U.S., western and eastern Europe and Africa. "Like the Costra Nostra you had to have an introduction to get in. And just like the Mafia, if you were disloyal you were stripped of your membership and kicked out. … The difference is you didn't see as many dead bodies!" Caldwell says. Like Amazon.com, the group's website contained photos of illegal items and reviewers' reports. The Criminal Division used the old-school technique of an infiltrating undercover agent to crack the case. To date, 26 individuals from around the world have been convicted, and the rest are either fugitives or are pending trial. Cooperation with law enforcement agencies in other countries greatly helped prosecute the case. "Cybercrime, organized crime, corruption are really now international problems that can only be effectively addressed by international law enforcement partnerships," Caldwell says. In 1988, shortly after James Holzrichter, a young analyst and systems auditor, began discovering questionable practices at defense contractor Northrop, he received a disturbing phone call from Richard Zott, a federal agent with the U.S. Department of Defense Criminal Investigative Service. "He said, ‘I'm aware that you know of some improprieties, and we want to talk to you,' " Holzrichter said to attendees. Holzrichter told Zott that he'd need his credentials, and then he'd talk to his supervisors.
" ‘Let me explain what will happen, Jim,' " Holzrichter said. " ‘You're going to work tomorrow, and you'll tell them I've talked with you. … They're going to talk to their corporate lawyers, and they're going to scare the hell out of you. And you're not going to talk to me. I'm going to come with handcuffs, and I'm going to put you in prison.' "
"And I said, ‘What time can you be here tomorrow?' " Holzrichter said. Holzrichter had noticed that Northrop was ordering parts "as soon as they were coming in for receiving and inspection, and they were thrown into the garbage. They weren't even being inspected." The parts had been scrapped and wiped from inventory with tracking records reflecting that they were excess and no longer needed. However, they actually were still needed for other projects and would have to be reordered from the vendor who would be paid a second time for the same parts. Northrop workers would hide that they were ordering the parts a second time by changing three numbers at the end of the designations. "They told me not to file a report because it was only half a million dollars, and we're a multibillion-dollar corporation, so it doesn't matter," he explained. In the next year, Holzrichter smuggled out copies of incriminating documents that showed additional alleged fraud to the tune of millions of dollars. An employee from the U.S. attorney's office blew Holzrichter's cover by calling him at his office and asking if he'd wear a wire during the next attrition committee meeting. Holzrichter left Northrop shortly after. He and another Northrop whistleblower filed a qui tam suit in 1989. The case languished in the courts for 17½ years — the longest False Claims Act case to date — until it was settled for $134 million on March 1, 2005. Between the suit filing and the final decision Holzrichter lost his health and his savings, but he kept his integrity and his family. "For Choosing Truth Over Self," the ACFE presented him with the Cliff Robertson Sentinel Award at the conference. "I can't tell you how much it means to me to be recognized," Holzrichter told the attendees. "[Through] the work that you do and the dedication you've shown through in your lives, it wouldn't be possible for whistleblowers to come forward." Brian Krebs told attendees that companies fight cybercrime with too many tanks and not enough tank drivers. 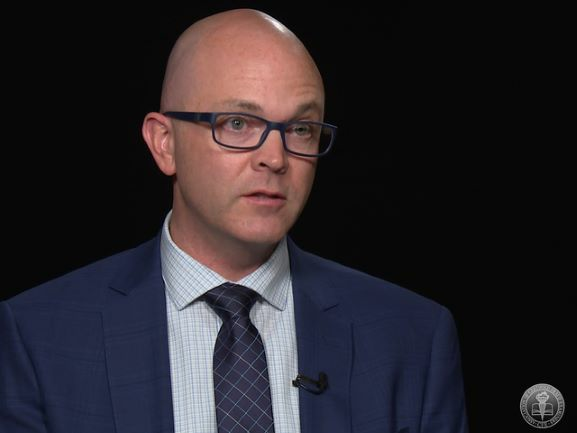 "Organizations spend ridiculous amounts of money on cybersecurity weaponry and then drop like two guys or gals on the ground to man all this weaponry that they have," he said. Krebs, an investigative journalist and author of the blog, KrebsOnSecurity.com, spoke to attendees after receiving the ACFE Guardian Award. 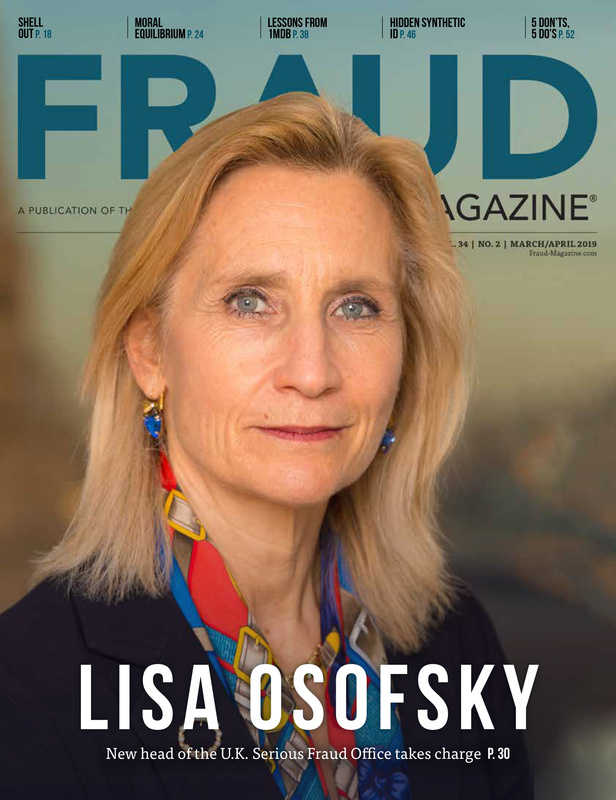 The award is presented annually to "a journalist whose determination, perseverance and commitment to the truth has contributed significantly to the fight against fraud. "He said that organizations' inertia and inaction are main contributors to cybercrime. "I would describe this as an overall … lack of urgency to own the issue of cybersecurity at the highest levels of organizations. "In far too many of these breach cases the forensic investigation reveals after the fact that the breached company had all the indicators that the company was compromised — positively screaming at them," Krebs, a former Washington Post reporter, said. "But the organization didn't have enough people to help them interpret what all these technological tools that they installed and paid millions of dollars for were trying to tell them about the security and integrity of their networks and their data." Krebs said that when organizations lose data in breaches they buy credit-monitoring services for all victims. "Whoopee. That's great. The way these services work, they don't protect bad guys from stealing your data … or identity. … I would like to see more organizations when they have a breach to freeze their [victims'] credit. … It's the only thing that blocks people from using your identity data to create new accounts in your name. "We all have a role in fighting cybercrime," he said. "But at a personal level that sounds like a trite thing to say because people who say it don't offer details on the real pain and cost that we incur to ourselves, our friends and family when we fail to take cybersecurity seriously." Lesley Stahl: Is the dark side taking hold? Famed "60 Minutes" co-editor Lesley Stahl said she seldom tells others about stories she's working on, but she made an exception for the general session attendees. "I'm working on a story [about FinTech — financial technology] that I think you'll be interested in. And it also has me thinking and worrying about where we're headed," Stahl said. She was in Silicon Valley recently where tech companies, she said, are actually in the business of "disrupting." "They are searching for ways to upend existing sectors of the economy. ‘Creative destruction' they call it," Stahl said. Economist Joseph Schumpeter coined the term in the middle of the last century. "He said it was an essential engine of economic progress and central to capitalism. New technologies would destroy old businesses and new jobs would be created. The automobile put 238,000 blacksmiths out of business. It created even more workers in Detroit making cars. "But it appears that many of the new technologies today are all disruptive and [less] creative in the sense of creating new jobs," Stahl said. While reporting on her FinTech "60 Minutes" story she discovered that creative destruction financial institutions are creating bank apps that could replace the 600,000 U.S. tellers. "Even financial advisors may be replaced by algorithms." Stahl said that technology's dark sides include privacy invasion, cyber warfare and electronic hacking. And while researching a recent story, she reported on "The Internet of Things": many new cars, refrigerators and other common everyday items are already connected to networks. Eventually, almost every item in our offices and homes will be linked to the Internet, she said, so fraudsters can easily access our personally identifiable information. "We blithely go along and allow these technologies to take over our lives. We don't debate it. It just happens," she said. "We have to stop and find a way to find a pause" to reevaluate what technology is doing to us, she said. Stahl, however, didn't want to leave attendees with all doomsday news. She said a recent survey found that the Millennial generation is reading printed matter rather than online or electronic content for pleasure or studying. "They do want to read the old-fashioned way, and that's heartening," she said. And a Pew survey found that the highest rates of those reading are in the 18- to 29-year-old group. "And they still use public libraries!" she exclaimed. "So not all is lost." Perhaps that backlash pendulum is swinging back, and the darkest effects of technology are abating, after all. "You need to get a ‘t' time," said Dr. James T. Reese during a general session. "You say, ‘I don't play golf.' That's not the ‘t' I'm talking about ladies and gentlemen. Find time to take the ‘t' off the word ‘can't.' 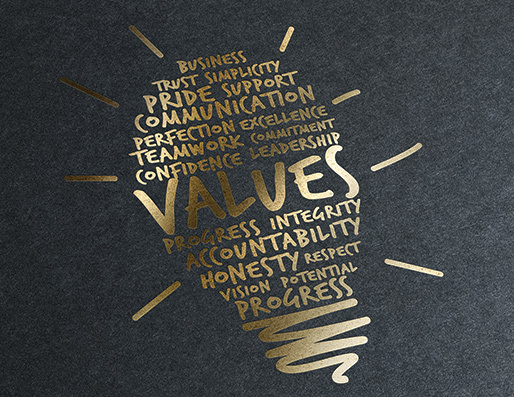 "
Reese — an internationally known author and trainer in stress management, leadership, workplace violence and motivation — said we can maintain balance in our work and families by centering on the most important things in our lives and aiming straight at them. "Get up in the morning with a purpose. Have something to do. … But we tend to forget the balance. We start doing the things we enjoy but we forget about the people who enjoy us," said Reese, a pioneer criminal profiler with the FBI's Behavioral Science Unit. He said don't be so dedicated to work that "you forget to focus on the appointment with your family because this is everything. You're going to have sit back and relegate your priorities, and the next thing you know it will be just you and your job and everything will be gone. "Balance is about knowing the things that are important to you and that matter. … Don't let others control how you believe. That's your real balance. That's the root of it all. Other people will take you and spin you sideways. … Once you give up that control other people will play you like a banjo," he said. "How do you start thinking positive? By finding something good in your life and doing it. Or finding something you are bad at and getting better. The best defense against burnout ... is personal growth. Learn something new and it will change your entire life," Reese said. "Possibility thinking? If you could do, achieve, become, apply, learn, what are the possibilities? They are limitless. I was told in high school that I was borderline dyslexia and dyscalculia; I didn't do math well. I decided that if you can't read books, write them. So I've written like seven. Edited five textbooks," he said. "Don't let anything stop you. … The path of least resistance is what makes men and rivers crooked. Look at your goal and legitimately get to it. Goals are just dreams with headlines. That's how you get your balance," Reese said. "Our message to those who attempt to defraud Social Security is plain: We will find you, we will prosecute you, we will seek the maximum punishment under the law, and we will fight to restore the money you have stolen from the American people," the acting commissioner of the U.S. Social Security Administration (SSA), Carolyn W. Colvin, told attendees. In 1970, she said, 9.7 percent of the U.S. population was 65 or older. In 2010, the percentage was 13 percent and by 2030 it will be 20 percent. "This shift obviously means increased reliance on Social Security programs, making protection of these resources ever more important," Colvin said. "So who is committing — or attempting to commit — fraud against our Social Security programs?" she asked. The culprits include fraudsters who file false applications to claim nonexistent medical conditions or to receive benefits for a deceased family member. Scams, Colvin said, also include stealing Social Security numbers, and diverting family members' or strangers' checks. Third-party facilitator fraud is the most complicated and challenging to identify and prove, Colvin said. "Third-party facilitators assist individuals in the disability claims process and may include licensed medical professionals, attorneys, non-attorney representatives, interpreters and social workers," she said. The SSA uses a multi-layered approach to combat fraud, Colvin said. "One challenge we face with electronic services is ensuring that the persons doing online business are who they say they are. The agency employs a wide variety of safeguards to authenticate users and to prevent fraud." 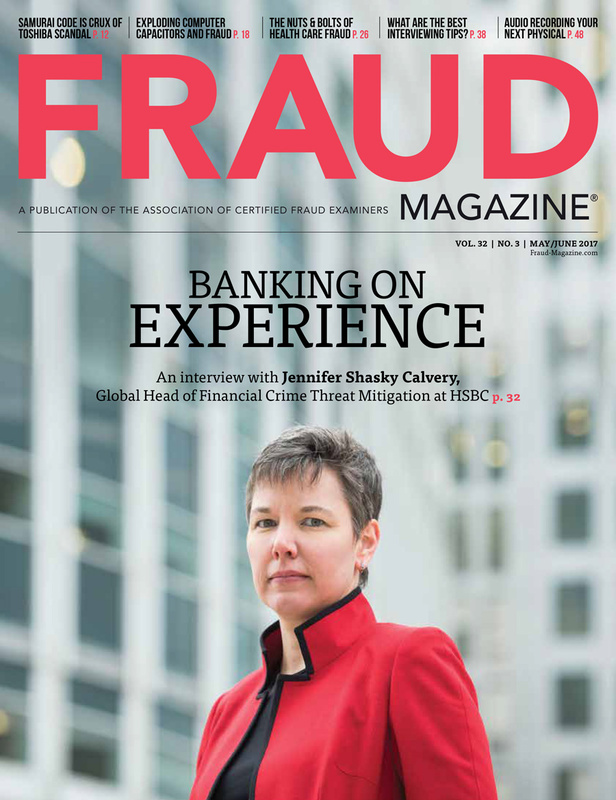 Colvin said that the SSA uses anti-fraud tools to review data. "Through automated and query-generated inquiries, utilizing preset and adaptable triggers, SSA will identify anomalous behaviors of all those who have contact with the agency as they input data or otherwise influence our systems and processes," she said. The agency provides mandatory training to all SSA and disability determination service employees on preventing and detecting fraud, Colvin said. Twenty-eight Cooperative Disability Investigation (CDI) units in 24 states and Puerto Rico resolve suspected fraud before benefits are paid, she said. According to the agency's Office of the Inspector General (OIG), CDI units have produced savings of more than $860 million in the last three years. "Thank you for all the work you do," Colvin said. 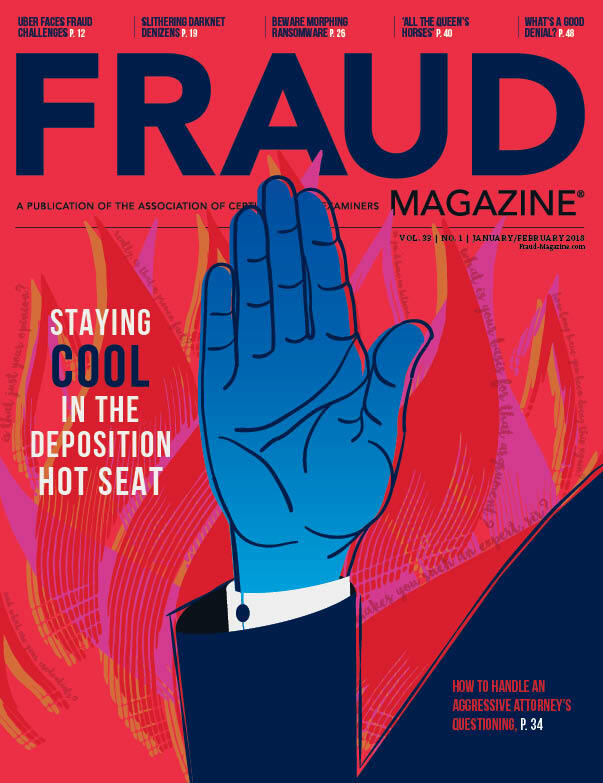 "Your extensive anti-fraud training, education, annual Reports to the Nations, and conferences such as this one, are just a few of the ways you as individuals and as a collective, help to create a culture of awareness in our country and globally, so that fraud is recognized as the insidious and corrosive element we know it to be." "I went into prison thinking my life was over, but it turned out to be a lifesaving and life-changing experience," convicted fraudster* Nathan Mueller told attendees. During his incarceration he became "the person I always wanted to be." Unfortunately, Mueller and his family had to travel a rocky and costly path so he could become a changed man. He was released in September of last year from the Federal Prison Camp in Duluth, Minnesota, after serving 5½ years for embezzling $8.5 million from ING, the insurance firm, from 2004 through 2007. Mueller said he grew up in a loving family. "I had everything going on in my life," he said. "The one thing I didn't have was money, and that became my focus." And his eventual downfall. When he was an ING accounting manager, he discovered that he had the authority to approve and sign checks up to $250,000. He realized he could cut a check, sign it as somebody else in the department — the department employees shared passwords — and then approve the check as himself. Mueller didn't immediately take advantage of the check-signing privilege, but the temptation lurked. A few years later, his wife was pregnant and he had money worries. "The pressure I was feeling internally was to be the provider — the man of the house — and to be able to take care of my family and have my wife stay home," he said. "And I thought if I can just get out of debt I would be okay. I went into work and said to myself, ‘I'm going to steal money, and I'm going to pay off my debt.' It was really that simple. … So my first fraudulent check was for $1,100 and I sent it in. Worked like a charm. Way too easy. Over that summer I stole about $90,000." Mueller was now out of immediate debt, but then his money obsession reared its head about six months later. In his new scheme, he set up a sham company and registered it with the secretary of state with the same name as one of the company's insurance brokers. He got a post office box and a federal ID number and opened a business bank account. Mueller would log on as somebody else in his department, request checks, log on as himself and approve them. He used this method to steal the $8.5 million. He'd explain his lavish spending on cars and nightlife with supposed Las Vegas winnings. Unfortunately, Mueller developed a gambling addiction and he began to steal to support his new obsession. "In the summer of 2007 I had spiraled so out of control — the guilt, the anxiety and the depression I was dealing with … and the way I was living — I was almost unrecognizable to the people in my life," he explained. "I pushed away all my friends and family." Mueller and his wife eventually divorced. He was caught when a co-worker ran a query and found many checks that she'd supposedly requested and Mueller had approved. ING examiners, FBI agents and the U.S. attorney's office investigated. "As a CPA, I kept records of every dollar that I stole … so the process was fairly painless [for the investigators]," Mueller said. "I pleaded guilty to one count of mail fraud." Since his release from prison Mueller has been working to mend relationships with his 7- and 11-year-old children. And as director of education for a CPA firm, he gives talks on ethics and his crimes to business people and students. "It was shocking to me that it took this kind of experience to become the person I wanted to be," Mueller said. "Happy and healthy." Mark your calendar for the 2016 ACFE Global Fraud Conference! 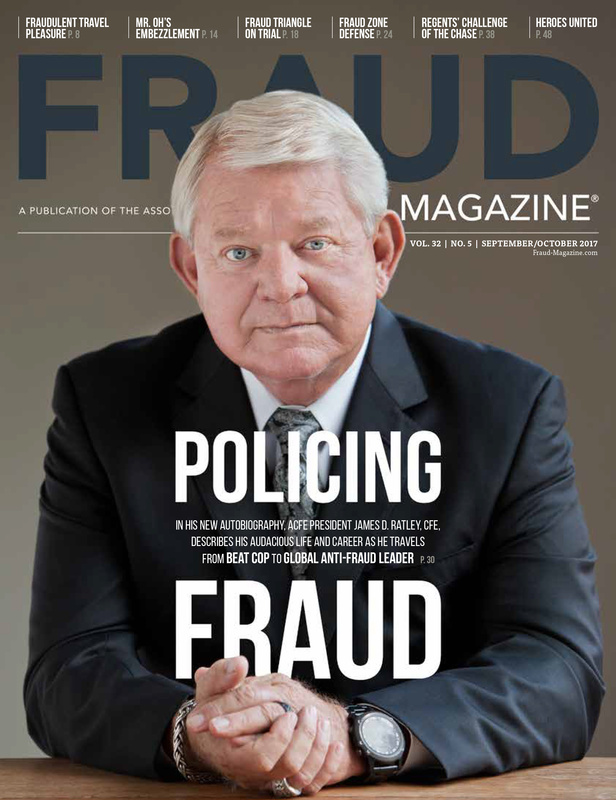 The 27th Annual ACFE Global Fraud Conference will be held June 12-17, 2016, at the Aria in Las Vegas. You've always wanted to attend a Global Fraud Conference and now's your chance to finally do it. Visit FraudConference.com to register. See you in Vegas in 2016!